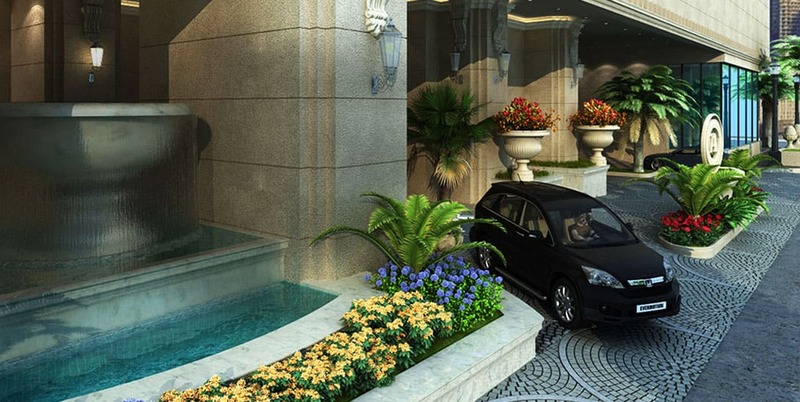 The water fountain cascading from a big marble basin is a part of the West Wing drop off, but the driveway is the East Wing drop off zone, with its huge flower jars, landscaped tropical plants and wall lamps. Every species of plant used in the landscsaping is carefully selected to achieve a perfect atmosphere in the East Wing entrance. 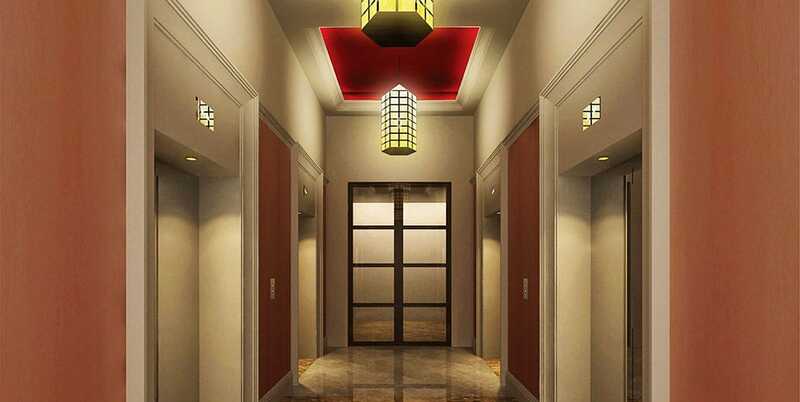 The elevator lobby of the West Wing typifies the overall look and feel of the whole development. 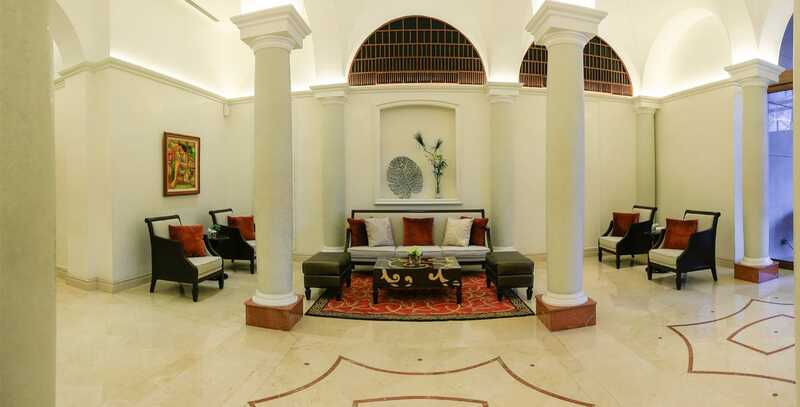 The East Wing Lobby features a sleek and contemporary design approach, but still tastefully with Renaissance columns and marble floors. High ceiling and arches help achieve a classic yet modern look, further accented by intelligent lighting.